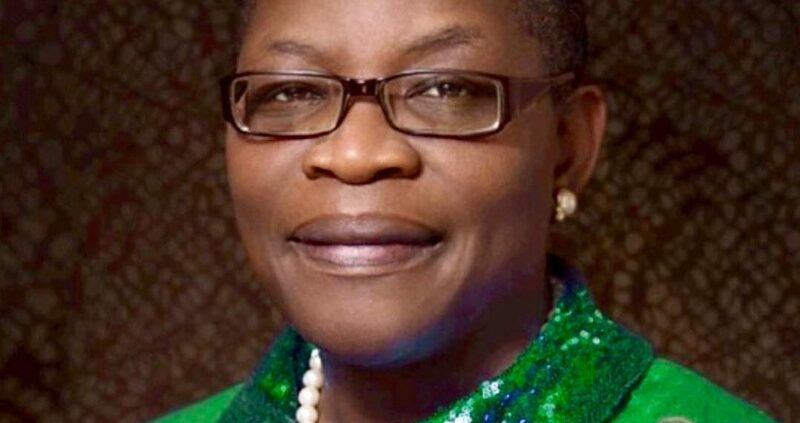 She took a swipe on the ruling All Progressives Congress (APC) and the Peoples Democratic Party (PDP) for their roles in the present state of the country, and warned Nigerians against supporting the two parties in next year’s polls. Mrs Ezekwesili, who is popularly known as ‘Madam Due Process’ as a result of the reforms she instituted while serving as the pioneer head of Budget Monitoring and Price Intelligence Unit from 2003 to 2005, also spoke on other contemporary issues in the country. Your entrance into the 2019 presidential race came as a surprise to many Nigerians, but you seem to be serious with it. What is your motivation? We need to rescue our country. Our country is in dire straits. Those of us who have had the opportunity we have had in this country cannot afford to stand by and watch as more of our people just get thrown into despair, and distress. When you look at the fact that every year three to four million young people join the labour market and only 10 percent of them will end up having anything called a decent job, you have to say to yourself what happens to the rest over three million of them. This will be time bomb for any country. When you look at the fact that the recent world report on the incidents of extreme poverty showed that we, Nigeria, at 186 million population overtook India that is six times our own population as the world capital of poverty with 87 million people now living in extreme poverty amongst us; that’s terrible. When you look at the fact the entire oil revenue of our country can no longer pay the salaries of just about two million people that work in our public service; or you look at the 13.2 million out of school children in our country, we are the country with the largest number of out of school children. This is like when you are watching a train that has gone, of course, and is on a speed to crash; you must intercept it in any way that you can to try to save the lives that will be ruined. So, for me it just had to happen once I saw that once again two people that I will call BUHTIKU, because they are one and the same people that belong to the same dominant political parties, known as All Progressives Congress (APC), Peoples Democratic Party (PDP), there is and between them, are again the choices that we have for governing our country over the next four years. We don’t have that luxury of time; we don’t even have four months to be on this kind of corrupted politics, inept politics and incapable politics and governance. So, I had to declare. Your views about APC and PDP are somewhat surprising because you once served in a PDP administration; you were also at a time a friend of the APC having delivered the keynote address at the national summit of the party in March 2014. When did you fall out with both parties to the extent that you no longer see anything good in them? No, it’s not about falling out. When I was in the PDP government you could say that I fell out with our political class because I was well known for the kind of work I went to do in government. And there is nothing different about me today from the person that I was when I was in a PDP administration. You can ask those of them that are truthful to themselves. The reason that people call me Madam Due Process in this country is because I stood against a certain way and mindset of governance and reformed the public procurement system that was the honey pot of our political class. So, I have been fighting this war. I fought it from within and I am fighting it from the outside. I was fighting it from the outside as an activist demanding for good governance until I declared a few days ago. So, you can’t sort of try to frame the story as ‘oh she used to be one of them’. They know I was never one of them; so there is nothing to defend. I am consistently and persistently demanding for a different society; a country that has such amazing potentials being held hostage in what I call aggressive mediocrity by the kind of quality of politicians that we have had. You know, our problem is summarised by Plato who said that all who think that politics is beneath them will definitely be governed by their inferiors. When you look at the politics of our country and, in fact, a number of African countries, you find that what had happened to us was that people like you and I decided that we didn’t have any time for politics, that we couldn’t go and be rolling in the mud with these people. They were very happy for as long as we said that because it enabled them to entrench themselves and to take the entire country down unto a mediocrity of a kind that gets you where it has gotten me right now, which furious, that we can be in a society like Nigeria and continue to decline every time. We should stop the decline. I am here to work with similarly minded Nigerians to terminate this reign of bad politics where everything is about grabbing power for the sake of power. That is totally unacceptable. Power must be used to produce results for the vulnerable and weak in the society, to enable the prosperity of all and to create a society that is stable, prosperous and cohesive; a society that offers equality of opportunity to everyone. I am tired of us as the technocratic class just abdicating our responsibility for the good politics of our country and, therefore, allowing people of a certain class to define our politics. I am in this to disrupt this political mess that we have had that has not delivered good governance. But some people say that you took to activism because you expected that the present government would offer you an appointment, but they didn’t? Those kind of people are part of the problems of Nigeria that I am trying to solve now. People who think that way have completely removed their minds from critical analysis. How can a woman who left government 11 years ago as a minister to go to the World Bank to become vice president and the thing that matters to me is to get an appointment from government. How can a woman who after she left government in April 2007 before the tenure of that government ended and was pursued vigorously by the then incoming President Umaru Musa Yar’Adua, to be in his cabinet and I had to beg him to please forgive me, but that I couldn’t be; how can a woman who was asked by former President Jonathan both when he became the acting president and when he won his mandate to be a minister in his government, but I said I would not be; so it is the same woman that you dare to think that my activism that started more than 30 years ago is now because I couldn’t get an appointment from government. Some of these young ones and even the adults that say those kind of things don’t realise that there are some of us in the society that are not interested in the spoils of office. When I was in office, I didn’t go to do any spoils of office. Those of you in the media that knew me at the time that I was in government knew that my incentives were not about answering a title and swaggering around because I had some perquisites of office. They know that. I went to government to solve problems. So, if I did that and have decided that what I want to spend my time doing after my career at the World Bank was to begin to build civil society to understand the power that citizens have to checkmate those that govern them and then you turn it to, ‘you are angry streets of Lagos as one of the concerned professionals and then later as the leader of the concerned professionals advocating for the restoration of the mandate of the then president-elect, Chief MKO Abiola, was I doing that so that President Buhari would make me a minister? When I became a young co-founder of Transparency International in the early 90s, was I doing that so that I would be made a minister? I have been an activist; my mum says I am an activist from the womb. The president that I worked with used to say, ‘with you in my government who needs a Gani Fawehinmi’; and I would say to him, ‘thank you very much, this is the best compliment you could ever give me’, because I was a strong fan of Gani Fawehinmi. I believe in a just society and I believe in voice. You must not swallow your voice when you see that something is wrong. So, those who tell that story to make themselves feel good, if it makes them feel good I am happy to contribute that to their lives. 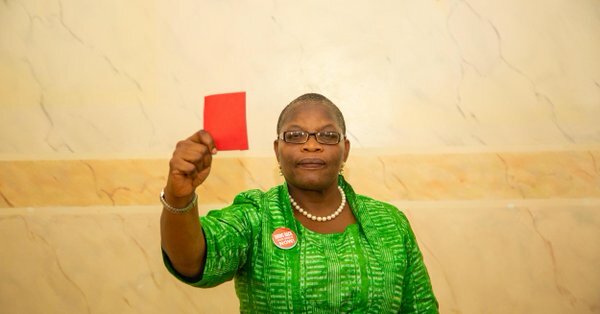 But I know that as for Oby Ezekwesili, there is no such thing. You are running on the platform of a party that many people see as one of the unknown entities that parade as political parties in the country. What are your chances? My chances are very bright because I am the candidate of the Nigerian people. Haven’t you seen elections elsewhere where there was not even a party and a party came together by virtue of the total commitment of the people that they finally had it with the existing order; with the status quo and that they need a new direction? Haven’t you seen that happen? In recent political developments across the world we have seen coalitions that emerged and simply said enough is enough. Now, enough is finally enough. So, our party is not that unknown. The party actually contested the 2015 presidential elections; it was number four. Even though the number of votes it got was number four from a low base, it is not an unknown quantity. The ACPN is a party that has managed to stay sane in this environment where people easily sell themselves to the powers that be. They refused any of that. Some of their earlier members said no to such things; that they want to be a credible third option in the politics of Nigeria no matter how long it takes us. So, it is not surprising that when the time came, I had to run on their platform. So, the chances are huge because I am the candidate of the Nigerian people. The ACPN is building a massive movement of the people of Nigeria who are tired of this aggressive mediocrity that we have been given over and over again. I mean it’s like turn- by-turn cycle of failure that we have been seeing in our politics. People are tired of it. There is strong appetite for a new thing; and a new thing driven by the determination of citizens to show that they are the ones that have the legitimacy to determine the quality of people that govern them. So, I have no fears at all that we are going to win the 2019 elections. You worked with former President Olusegun Obasanjo in different capacities. Did you seek his blessings before joining the race knowing his clout in the politics of the country? You know that in everything that we do there are people that have set on our path. You will talk to your friends, family, pastor, etc. So, I consulted and talked to everybody that I needed to talk to. And as far as I was concerned, the most important thing was my having made up my mind that this is something that I needed to do. So, that is exactly what has happened. What are you bringing to the table that will be different from what is happening in the system now should Nigerians give you their mandate? I am that candidate that has the character, competence and capacity that is needed in leadership to confront challenges of development and to solve them. I am that candidate who may not know the usual corrupted politics of Nigeria, but I know one thing; it is to care about people. And true politics is actually caring about the people. It is the corrupted version that I don’t know. But I believe that in my everyday life, my track record shows that I have led in different contexts for the benefit of the larger society, not for my own interest. I am that candidate with the kind of problem solving skills that have enabled leaders not just in my country, but also in other countries of the world to get the benefits of what it takes to build economies, to build societies. I am the candidate that has the kind of networks that will prove very important for the process of mobilising all that we need for our development. I am the candidate that is appealing to the young people, because I’m open to their world and their mindset that they can rule the world in every segment of human talent. I am the candidate that believes that the fourth Industrial Revolution is not a story that belongs to the rest of the world, but that we can use it as our springboard to stake a claim to the 21st Century. I am the candidate that can speak to the disruptive technologies that is leading the entire world to a new economic state. I am the one that can talk about artificial intelligence, robotics, the Internet andblockchain technologies. I can talk about data and big data simulation science. I am the one that will take this country to a place where it is the primacy of the Nigerian person because if my focus of human capital development replaces this obsession with oil, what will happen is that it could be the primacy of the life of the Nigerian person that will matter most to me because I need them alive so that we will offer them the best human development opportunities that translate them from mere human beings who are just citizens into productive people who will be the engines of the growth and development of our nation. So, I am your candidate if you want a different society; if you want our generation to hand over a country that is viable, dynamic and progressive; a country that is prosperous not just now, but in the future. If we want a country of visionary people; a country of productive men and women; a country that functions on the basis of inclusivity; a country that manages its diversity very well. I am your candidate if you care about your children. I am your candidate if you care about your youths. I am your candidate if you care about the men and the women of this country. I am your candidate if you care about the weak and the vulnerable. I am your candidate if you care about the middle class. I am your candidate if you even care about the upper class that are being productive. Everybody that cares about productivity and competitiveness of Nigeria and its greater good will definitely line up behind me. So, I will be offering a lot. What is your parting word to Nigerians, especially the women folk because you are one of them? Do you know what is amazing? The women are coming out in their numbers to volunteer for the campaign; it’s amazing. The women are saying, ‘this is our campaign’. It’s unbelievable. We are just so excited about it because every woman is sort of looking at what I am trying to do as a very positive signal to them that we can break through barriers. And we are going to break through barriers. We are going to do a new thing because the stars are lined for us. It is the divine providence of the Almighty; even He is tired of the failure that we have been as a country. There is no better time than now. Some people say, ‘oh, you should wait till 2023’. But Nigeria does not have until 2023. God wants us to arrest the decay and the decline. You know, when it’s time to birth something new and different, you need a womb. And which of my opponents carry a womb? I have come with a womb, to birth together with the rest of our country, a new Nigeria. That new Nigeria of our dream is going to come to pass. And the women are all gathered together; we are going to push and give birth to that new Nigeria of our dream.